Located in the parishes of Welton and Dunholme, RAF Dunholme Lodge takes it name from a large country house a mile from the village which was requisitioned for accommodation. The airfield was located three and half miles from Lincoln on the north-west side of the A46 road and was a satellite of RAF Scampton. The first use of Dunholme Lodge occurred early in the war when Handley Page Hampdens were dispersed in fields overlooking the Lodge from their station at Scampton. It was from this first use that the airfield evolved with a number of pan handle hardstandings being constructed. Fuel and arming facilities were also available from the grass surfaced flying field. 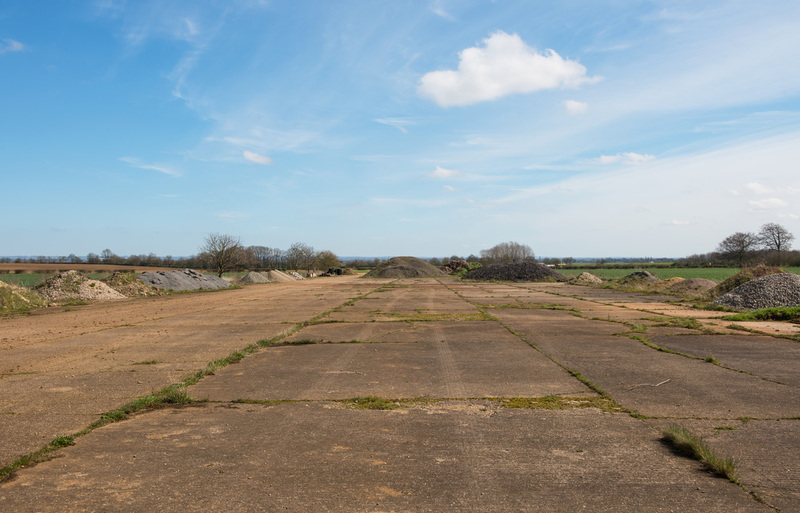 In August 1942 the first unit to officially use the airfield was 1485 Target Tow and Gunnery Flight which moved over from Scampton with a mix of aircraft including Fairey Battles, Westland Lysanders and Vickers Wellingtons. Whilst at Dunholme the Flight changed its name to 1485 (Bomber) Gunnery Flight and had moved out to RAF Fulbeck by 27th October 1942. 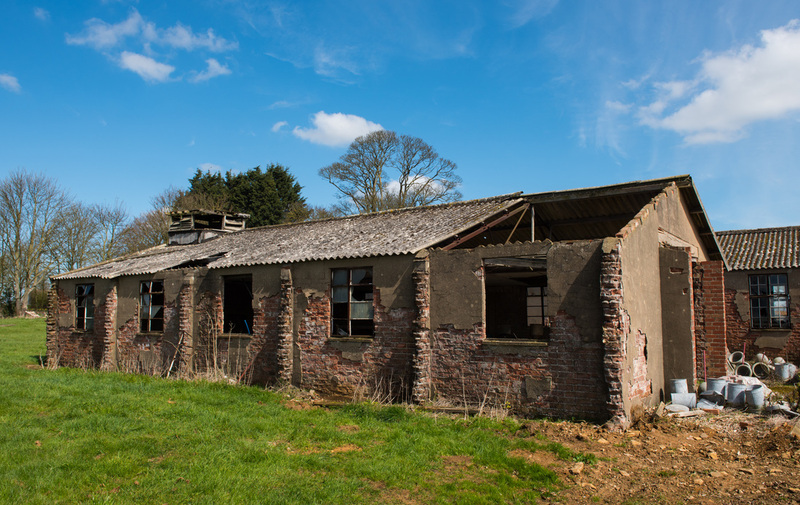 In September 1942 work began on developing Dunholme Lodge into a Class A airfield. Three runways were laid 04-22 at 2,000 yards, 16-34 at 1,400 yards and 10-28 at 1,300 yards. 10-28 was extended to 1,700 yards by No 5002 Airfield Construction Unit in February - April 1944 to enable larger bomb loads to be carried. Twenty Five pan hardstandings and fourteen loop type were constructed along the perimeter track. The Technical Site was located near Runway heads 22 and 34 close to the Lodge. The site accommodated one T.2 hangar with another located between heads 04 and 34, a further B.1 hangar was to be found between heads 04 and 34. 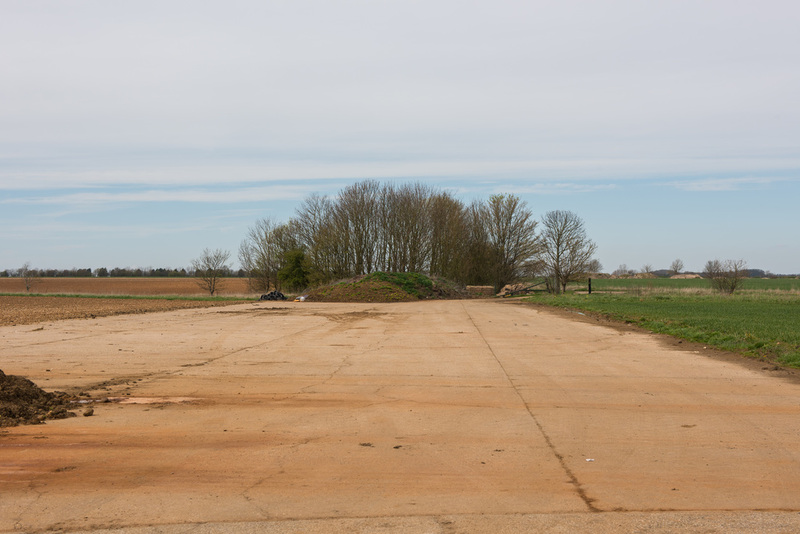 Very little remains of the runways at Dunholme Lodge except very small sections as shown in the photos below. Around Welton seven domestic, two communal and the sick quarters were dispersed within the countryside, which were able to house over 2,000 personnel. 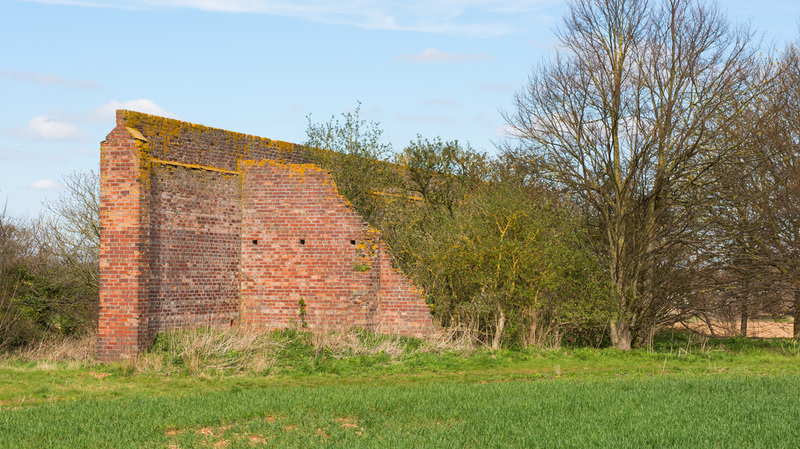 ​In April 2016 some of the dispersed buildings survive in varying degrees of decay. 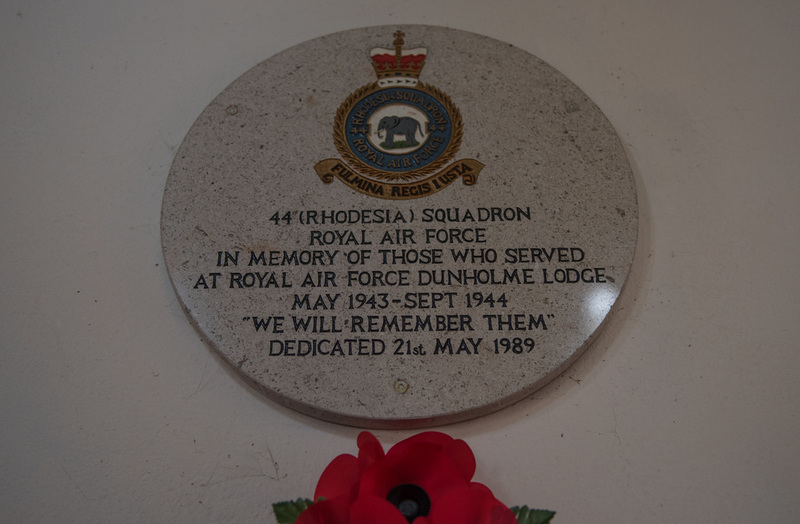 Dunholme Lodge re-opened in May 1943 as part of No 5 Group with its first Squadron, No 44 (Rhodesia), arriving from RAF Waddington. 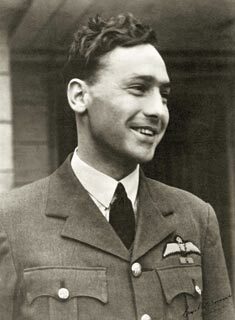 No 44 was under the command of Wing Commander John Nettleton who as Squadron Leader had won a Victoria Cross, for leading the daring low level daylight raid to Augsburg on 17th April 1942. The Squadron's first operation was to Dusseldorf on the 11/12 June with the first losses occurring two days later on a raid to Oberhausen when two Lancaster B.IIIs W4936 KM-W and W4949 KM-H failed to return. Over the night of 12/13 July 1943, No 44 Squadron were tasked to raid Turin. It was on the return from this raid that Nettleton's Lancaster ED331 was believed shot down by a Luftwaffe night fighter with the loss of all the crew. It was to be another eleven months before No 44 was joined by No 619 Squadron who moved in from RAF Coningsby. In September 1944 Dunholme was reallocated to No 1 Group 15 Base with 44 & 619 moving out to RAF Spilsby and RAF Strubby respectively. October 1944 saw the arrival of No 170 Squadron which had recently reformed at RAF Kelstern with Lancasters for a short stay of a month before departing to RAF Hemswell. The close proximity of Scampton caused problems for crews within Dunholme's circuit which overlapped with the formers. The setting up of a joint circuit with Scampton caused further problems with regards to holding times which suited neither airfield. It was therefore decided to close flying activities at Dunholme and this happened on 29 November 1944. 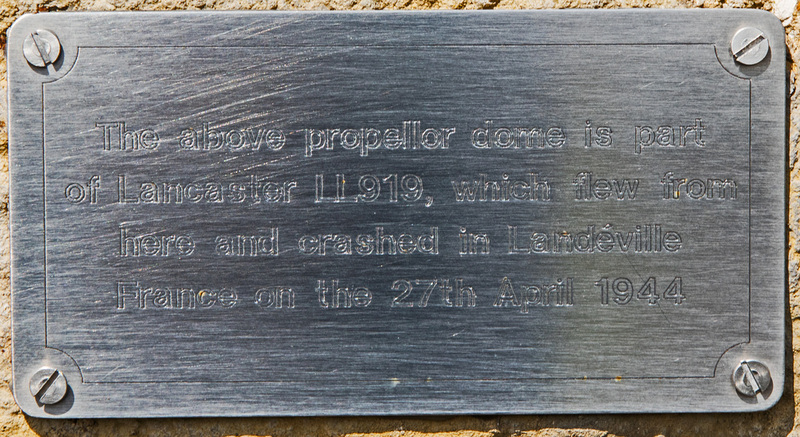 Bomber Command lost 120 Lancasters whilst operating from Dunholme Lodge to either enemy action of through crashes. 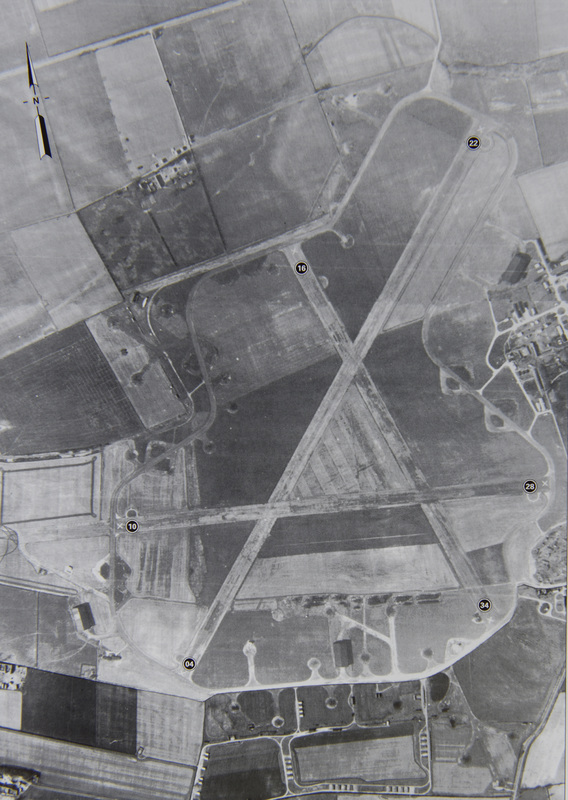 The airfield assumed a non-operational role and spent the remainder of the war as a centre for the modification of gliders. The first unit to arrive was a Ministry of Aircraft Production detachment staffed by men from General Aircraft Ltd.
After the war's end the airfield was used to house the RAF (Polish) Record Office and also three Polish Resettlement Corps. 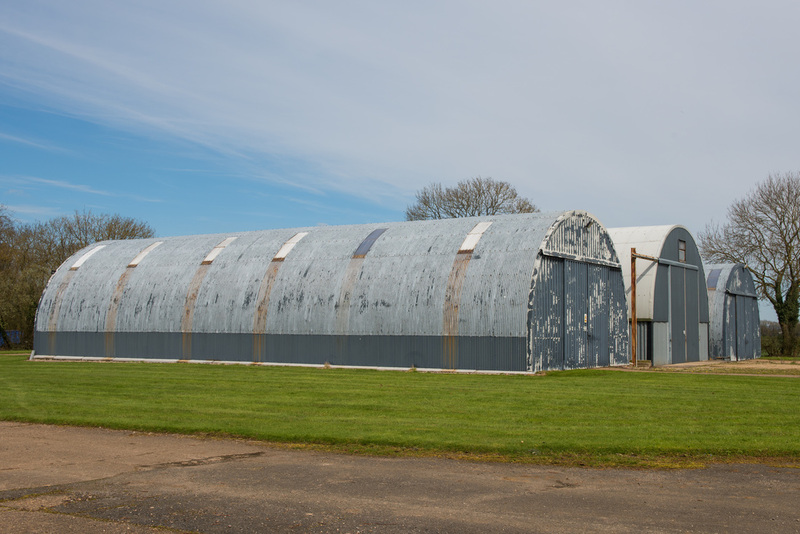 Over the following years the former airfield was sold off and has now mostly reverted to agriculture, however, there are today many reminders in the local area to mark the airfield's existence. ​On 26 April 1944 Lancaster B.1 LL919 PG-W of No 619 Squadron took from Dunholme Lodge at 21.32 as part of an operation to bomb Schweinfurt. The aircraft crashed at Landeville in France with the loss of all crew. 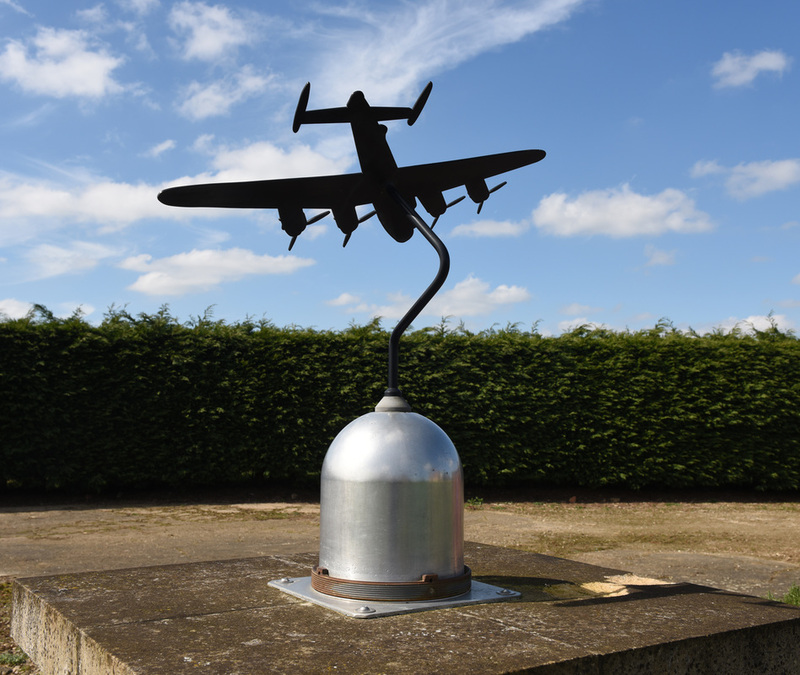 The memorial located at the former airfield at Dunholme Lodge incorporates one of the propeller domes from LL919 as part of its design. 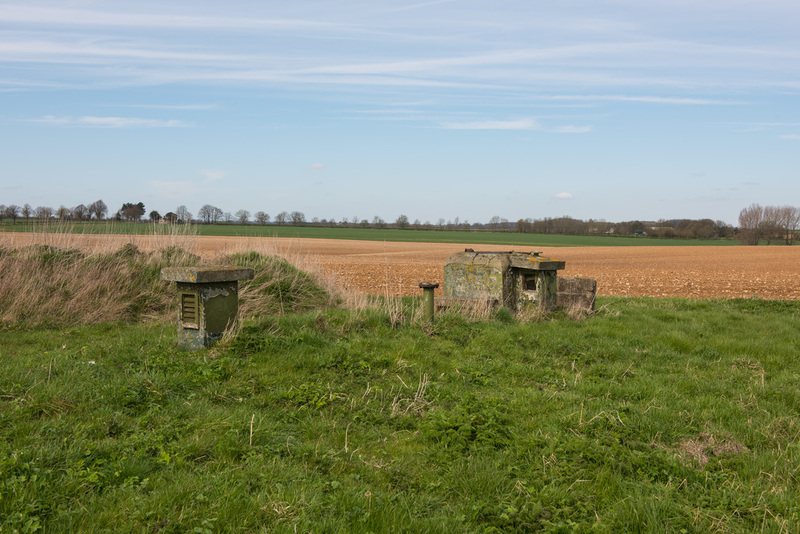 Part of Dunholme Lodge's involvement in the Cold War can still be seen in the form of remains of a Royal Observer Corps Underground Monitoring Post.